Japan was rattled by a strong 7.4 aftershock and tsunami warning for a wave up to 6 feet (two meters) which just occurred and coming nearly a month after a devastating 9.1 earthquake and tsunami flattened the northeastern coast. 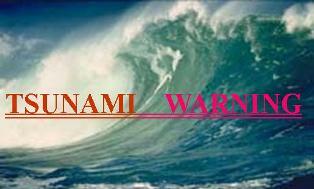 The tsunami warning was issued for a coastal area already torn apart by last month’s tsunami, which is believed to have killed some 25,000 people and has sparked an ongoing crisis at a nuclear power plant. Officials say Thursday’s aftershock was a 7.4-magnitude and hit 25 miles (40 kilometers) under the water and off the coast of Miyagi prefecture. Buildings as far away as Tokyo shook for about a minute. 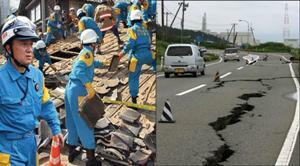 The quake that preceded last month’s tsunami was a 9.0-magnitude. Yesterday’s geomagnetic storm brings today’s extreme weather events such as earthquakes, volcanoes, tornadoes, hurricanes (cyclones, typhoons). This entry was posted in 2012, ancient text, ancient_text, asteroids, astrology, astronomy, climatechange, comets, cycle 24, earth change, earth changes, earth’s core, earthchange, earthchanges, earthchangesmedia, earthquake, earthquakes, earth_changes, extreme weather, flood, floods, galactic center, galaxy, hopi prophecy, hopi_prophecy, hurricanes, lunar-eclipse, lunar_eclipse, mayan, mayan prophecy, mayan_prophecy, mitch battros, mitch_battros, pole shift, science, solar eclipse, solar storm, solar_eclipse, solar_flares, solar_system, space, space weather, sun-earth, sun-earth-connection, sunspots, sun_earth_connection, tsunami, Uncategorized, universe, volcanoes, weather and tagged 2012, ancient text, ancient wisdom, charged particles, coronal mass ejection, cycle 24, earth changes, earthchangesmedia, earthquake, earthquakes, extreme weather, hopi prophecy, Japan, mayan prophecy, mitch battros, Miyagi Prefecture, Nuclear power, pole shift, Sendai, solar cycle, solar cycle 24, space, space weather, Tokyo, tsunami, United States Geological Survey, volcanoes. Bookmark the permalink.